The Global Round in Sydney (August 15-20) will take place at the International Convention Center Sydney near the beautiful Darling Harbour, just minutes from the center of one of Australia's most global cities. 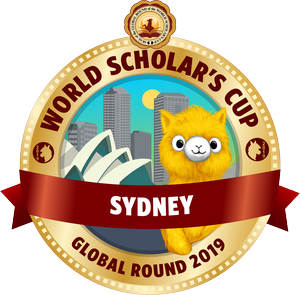 You’ll experience scavenger hunts, keynote speeches, panel discussions, our signature Scholar’s Ball, and, of course, all the competitive and community-building events that drew you to the World Scholar’s Cup in the first place, from the Debate Showcase to the Scholar’s Bowl. Just as at our other five Global Rounds, many of the top teams will earn invitations to our annual Tournament of Champions at Yale University, and participants will learn, debate, and build new friendships among fellow scholars from all over the world. In Sydney, they will also have the chance to meet penguins, koalas, and kangaroos. We encourage all participants to stay at one of our recommended hotels, all within easy walking distance of ICC, Sydney. Special negotiated rates include WiFi and breakfast. Please download the hotel brochure for details of hotels, room types, and the terms and conditions. Groups requiring fifteen or more rooms should use the group booking forms below. All others should use the online reservation system . Please contact Arinex, our official ground partner in Sydney in case you need any assistance. Airport transfers will be offered by Arinex, our official ground partner. We encourage teams to take the optional tours on the days they are not "in play." Optional excursions include a city tour of Sydney with a visit to one of the iconic beaches, a trip to the Blue Mountains, and a Sydney Harbour Cruise with a visit to the Taronga Zoo. Teachers - visitor visa (subclass 600) (Business stream). For more information see: http://www.homeaffairs.gov.au/Trav/Visa-1/600- Teachers can apply for this visa provided that they are acting as chaperones and not teaching. Form 1257 - Undertaking declaration. For more details please review the general details for visa applicants. Can't make it to Sydney? Learn more about our Beijing and The Hague Global Rounds, as well as our lower-cost and more accessible Astana, Manila, and Durban Mini-Global Rounds! Held in July, August and September, all rounds offer the same events and Tournament of Champions qualification opportunities as in Sydney.